Today they are racing in Pocono, PA. Kasey has done well at this track in the past and has a win there. He needs a win to get into the chase and I’m hoping it will be here. He was third fastest in final practice yesterday. 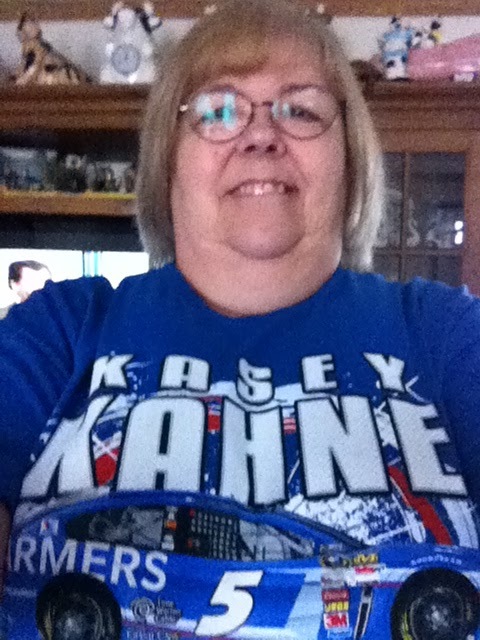 I’m all ready to watch the race with my son and his fiance and hubby. Can’t you tell?